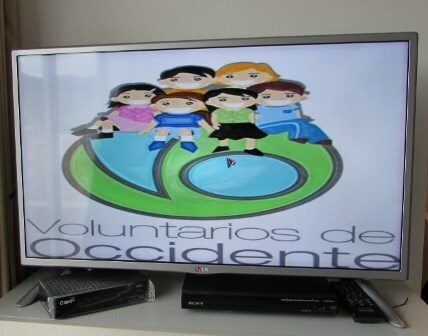 In June 1998, Maria Teresa and Gonzalo Alarcon founded VOLUNTARIOS DE OCCIDENTE as a volunteer program, a local grassroot, not for profit, non political and non religious organisation. They began in Colombia but soon moved to Ecuador where they established permanent residency. Now back in Colombia they maintain projects in both countries. In the first years years Gonzalo and Maria Teresa immersed in rural communities of the andean mountains having the opportunity to learn about the true living conditions of the poorest children and their families, establishing their real needs, and making possible to create a program for helping people to break the poverty circle and look for better opportunities in life. In 2001 the founders registered a Charity in Ecuador in order to look for resources to increase the help to children and schools, so they could start giving computers and improving the conditions of the schools. In 2002 VDO donated the first computer to a rural school thanks to the support of former volunteer Kevin Spencer. Later, thanks to Adrienne Finch and Ros Earl (nee Finch), the first computers center was donated to the same school. The Centre was dedicated to the memory of Andrew Finch. At the end of 2007, five years later, the "Andrew Finch Education Trust, AFET" gained charitable status in the UK. It is entirely dedicated to supporting VDO projects, especially the computers centres and libraries. 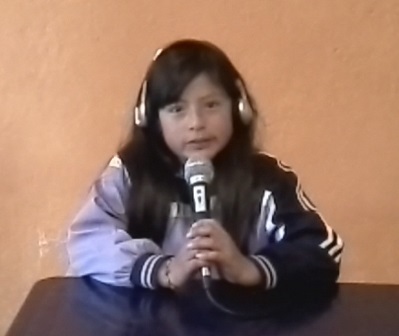 In 2004 Maria Teresa started the Sponsorship program called TAITAKUNA (Godparents in Quechua) with the aim of helping to improve the living condition of the poorest children and to encourage them to continue studying after the primary school. In this program each child receives direct help from the sponsor. In 2014, two girls than 10 years later had no opportunities become graduated from the secondary school and has now a dream of going to the University. In 2015 two more girls from the program also graduated and one of them was the third best student in her school of more than 500 students. In 2005 VDO created the CHILDREN´S LIBRARY where can read storybooks and take it to their home for reading. The Library also organize reading sessions with small children and families. Reading contests and other activities are developed by volunteers. Actually VDO has two libraries in Ecuador and one in Colombia. In June 2008, Jackie Bird from USA, while volunteering in Ecuador celebrated with Us the tenth anniversary of VDO, realized a fundraiser and promised to help in creating a Charity in USA. When she returned home she registered VOLUNTARIOS DE OCCIDENTE, Inc. as a non profit Corporation in California. Thanks to this VDO has the opportunity to improve the service to children and communities. During these 17 years more than 200 volunteers from five continents has worked in both countries with an average time of participation of 1.6 months each. We are proud to have stablished personal friendship with each of them and to continue in contact with near 60 % . Some of them are activelly contributing to the projects in Ecuador. With all this volunteers VDO has helped directly to more than 30 rural schools and communities and more than two thousand children. VOLUNTARIOS DE OCCIDENTE is still a small project. Maria Teresa and Gonzalo Alarcon are still the only staff members in charge of the projects, giving direct and permanent assistance to volunteers. VDO has no bureaucracy making possible a low budget projects and programmes. The effort of volunteers is the only way to do the work and friendly donations are the only way to obtain the necessary resources. The future of VDO depends on the participation and support of actual, former volunteers and friends. In VDO we are all volunteers. Nobody has a salary. That is the way VDO goes ahead. There are still too many things to do and your help is necessary. As a volunteer or supporter you can also help to break the poverty circle of many children that are just waiting for one opportunity.